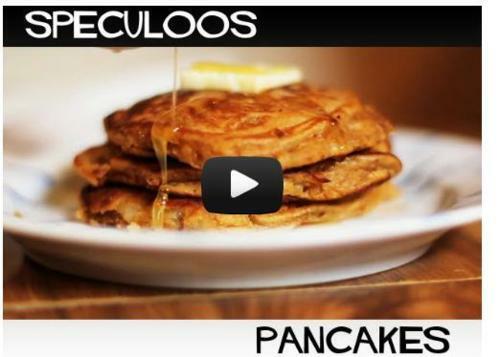 The Ultimate Source for Tasteful Pancake Reviews! After getting to taste their delicious Speculoos Pancakes, BreakfastForDinner boys Michael and Raul joined me last weekend as guest reviewers for Ma’amCakes! 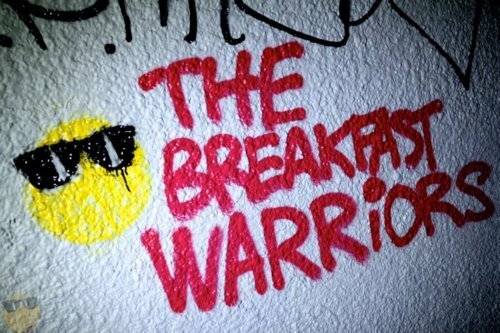 BreakfastForDinner has videos featuring the boys cooking anything from pies to bacon pancake smoothies, so what better than to have them as guest reviewers! 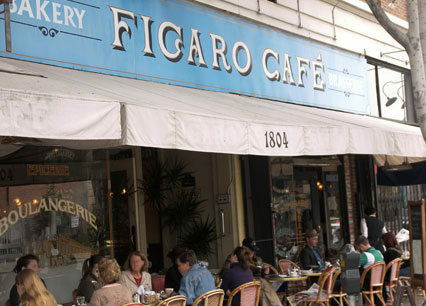 For our Ma’amCakes review, we decided to go to Michael’s favorite pancake spot in LA, Figaro Bistro, located on Vermont St. in Los Feliz, CA. Upon entering the restaurant, considering Michael’s exact words were “I hope you’re ready for this, girl,” my expectations for these pancakes were, needless to say, pretty high. As a group we made it fairly easy for the chef, as we ended up ordering three orders of the Pancakes! I must say, these pancakes were actually quite tasty and shockingly, I’ve never had pancakes like this before: first of all, I’ve never seen pancakes cut like mom’s grilled cheese special she puts in your lunch bag. I do give Figaro props for creating a unique arrangement of a typically boring dish! Second, the pancakes tasted a bit too much like muffins, instead of ma’amcakes. Fortunately for Figaro, I love muffins! And it’s definitely nice to have an option for pancake-tasting muffins. “Put some of that apple compote on,” yelled Michael. 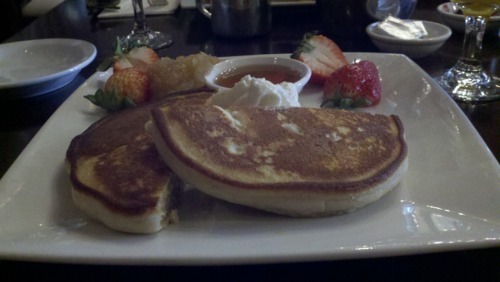 These were awesomely unique pancakes, and the apple compote – which I normally don’t like – sealed the deal. 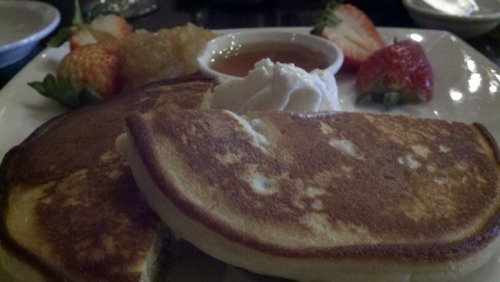 (I probably liked the compote with these pancakes because they tasted like muffins!). Upon completing our meal, Michael and Raul asked if the chef could explain how exactly the pancakes were made – especially about the fluffy/crunchy contrast – but unfortunately, we were told that’s “a secret recipe.” Shocking. Overall, the Pancakes at Figaro were very tasty and unique. If you’re looking for pancakes that taste more like muffins than yes, these are the best plain pancakes in LA! While I did enjoy these pancakes, Raul and Michael: I enjoyed your Speculoos Pancakes way more. 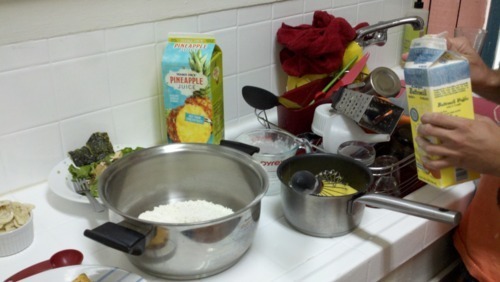 Thanks BreakfastForDinner, for being a part of Sunday brunch with Ma’amCakes!